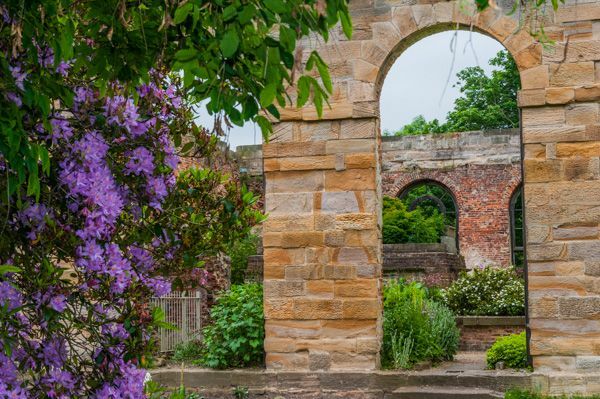 Gibside is a superb 18th-century landscape garden in a lovely wooded setting on the outskirts of Newcastle-upon-Tyne. At the centre of the garden is a striking three-storey chapel. The gardens cover 400 acres of lawns, parkland, and woodland, carefully arranged to provide sweeping vistas and surprise views punctuated with classical follies. Gibside was the family seat of the Bowes-Lyons family, whose most famous recent member was Elizabeth, the Queen Mother. The gardens were designed by William Joyce and Stephen Switzer for George Bowes in 1731 and executed by Joyce over the years 1729-1760. Among the buildings used to accentuate the garden views are a Palladian chapel, walled garden, greenhouse, Georgian bridge, and the ruins of a bathhouse and hall. 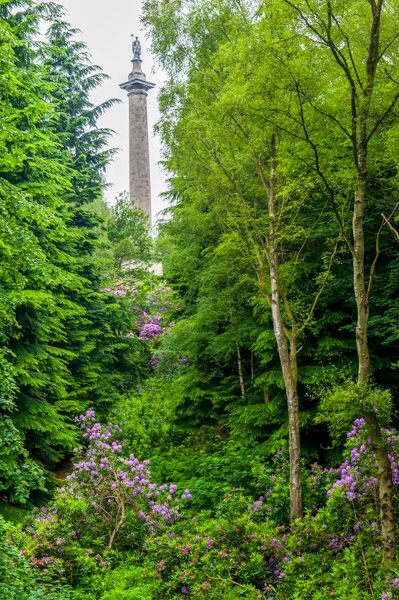 There is a very nice walk along the riverside, and trails leading through woodland to a striking Column of Liberty which towers - literally - over the site. 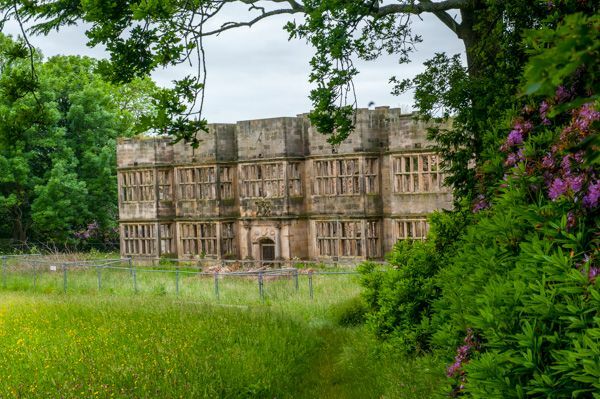 Gibside also provides habitat for a wonderful variety of birds and wildlife, including red kites, and has been designated a Site of Special Scientific Interest (SSSI). There is a regular programme of special events at throughout the year, including open-air concerts and theatre, family, food, and wildlife events. 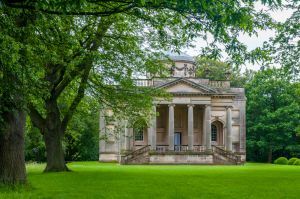 Perhaps the most important historic building at Gibside is the chapel, built in neo-classical style between 1759 and 1816. The patron was George Bowes, the wealthy Georgian coal merchant who laid out the gardens at Gibside. Bowes called upon a local architect named James Paine to create the chapel as an eye-catcher; a focal point to stand at one end of a long grass avenue. Some of the stone was quarried on the Gibside estate. From the outside it looks like a classical temple, with a domed ceiling rising above a Greek-style portico. The interior is elaborately decorated, with a striking triple-decker pulpit made of cherry wood, topped by an elegant sounding-board, and lovely wooden box pews on either side and in the corners. The result is a superb example of late Georgian neoclassical design, beautifully executed. George Bowes, the builder, is buried in an underground family vault, accessed behind the chapel. The vault is open to the public one or two times a year. 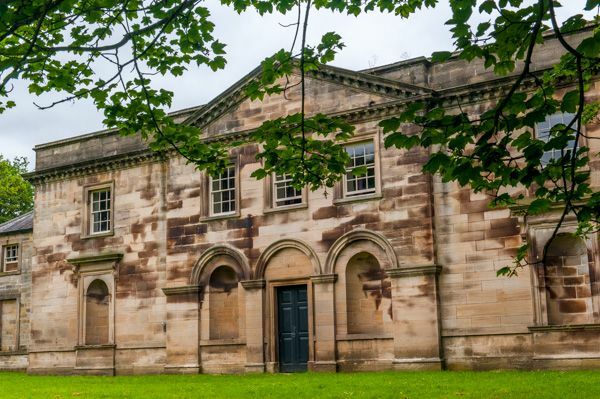 What really makes Gibside Chapel special is that it has changed so little since it was built. Not surprisingly, the Chapel is popular for weddings, choir performances, and for the occasional special exhibit. When we visited there was an exhibit showcasing an exquisite copy of the wedding dress worn in 1767 by heiress Mary Eleanor Bowes, for her marriage to John, the 9th Earl of Strathmore. Mary Eleanor was buried at Westminster Abbey, wearing her wedding dress! Location: On the B6314 between Burnopfield and Rowlands Gill. Signposted off the A1.